As the years go on, I get closer and closer to having done all of the “marquee” hikes in the region. North Dome is the latest. Driving across Tioga we ran into some friends riding their bikes. We’d hosted them a week or two before. They’re on a giant cycle touring climbing trip. A few thousand miles with FIVE climbing racks. Each of them carries a jar of honey too. It was fun stopping them on the side of the road and re-uniting. We weren’t expecting to see each other. 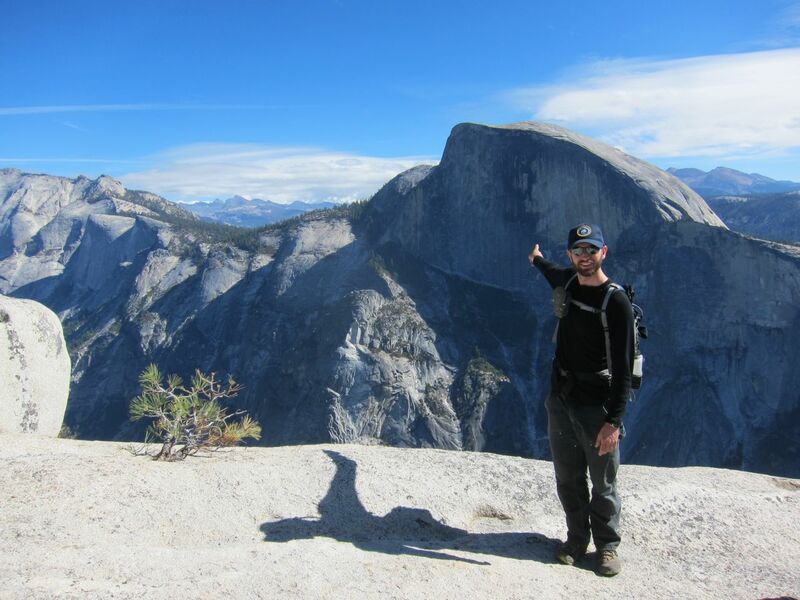 The North Dome hike deserves it’s place as a famous hike. A couple of miles of mature forest, an epic lunch spot and a return the way you came. Anytime you’re on the rim, it seems like you’ve got the best view there is. North Dome in October isn’t crowded. Nice crisp view of the full face of Half Dome too. My friend Ben would be on El Cap rescuing a climber the next day. Good guy. We snuck out just before the first big winter storm of the season.